Room 34 is a favorite amongst guests in the warmer months for use of the expansive rooftop terrace. It is a smaller room on the third floor featuring a queen bed, cathedral ceilings and a private bathroom with a shower. French doors open to the private rooftop deck furnished with two lounge chairs and a small dining table, perfect for that morning cup of coffee or evening glass of wine. 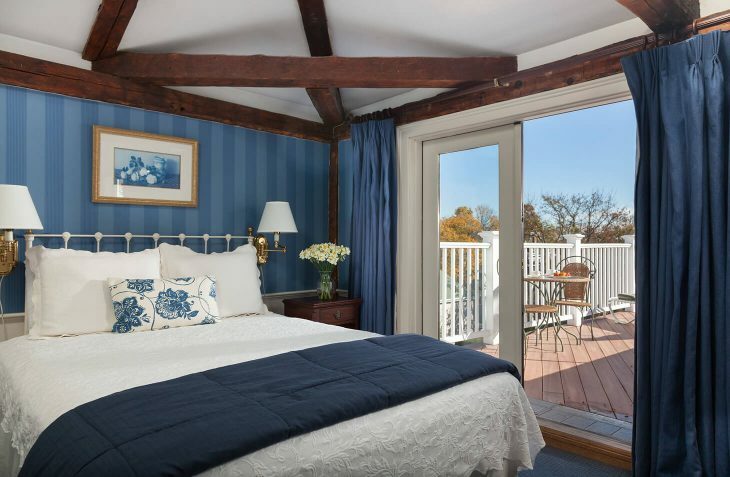 Guests can enjoy expansive views of the historic district of town as well as our pool & garden area at the inn near Salem, MA. 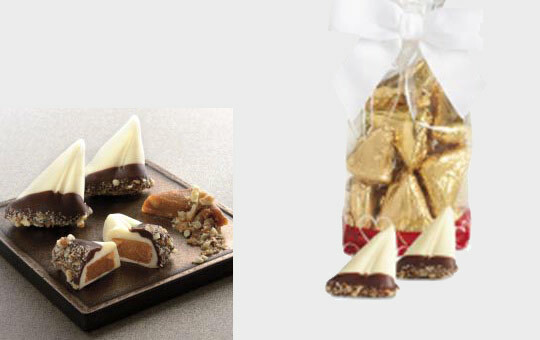 Harbor Sweets signature Sweet Sloops are Sailboat Shaped Almond Buttercrunch Toffee covered in Dark & White Chocolate.